The Chincilla is a small rodent. They live in the Andes in South America. They are active during dusk and dawn. Such an activity pattern is named for crepuscular. Together with the Viscacha, they form the Chinchillidae family. In their usual habitat, chinchillas live either in burrows, or in crevices of rocks. They are good jumpers, and can jump very high. Chinchillas live in colonies. The females are much bigger than the males. Predators in the wild include hawks, skunks, felines, and canines. Wild chinchillas seem to feed on plants, fruits, seed, and small insects. Chinchillas have been domesticated and are sometimes kept as pets. Their diet is mostly based on hay. Chinchillas make a variety of vocalizations, including chirps, squeaks, and barks. They can be found in a variety of colors and mutations. The chinchilla has the second-densest fur of any land mammal, exceeded only by the sea otter and is named after the Chincha people of the Andes, who once wore its dense, velvet-like fur. By the end of the 19th century, chinchillas had become quite rare due to hunting for their ultra-soft fur. Most chinchillas currently used by the fur industry for clothing and other accessories are farm-raised. Both species of chinchilla are currently listed as Endangered by the IUCN Red List of Threatened Species due to a severe population loss approximated at a 90% global population loss over the last 15 years. 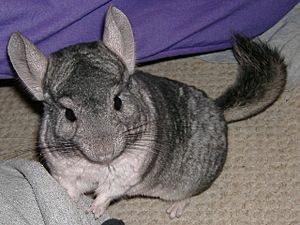 The severe population decline has been caused by chinchilla hunting by humans. Until 1996, they were listed as Least Concern on the IUCN Red List. 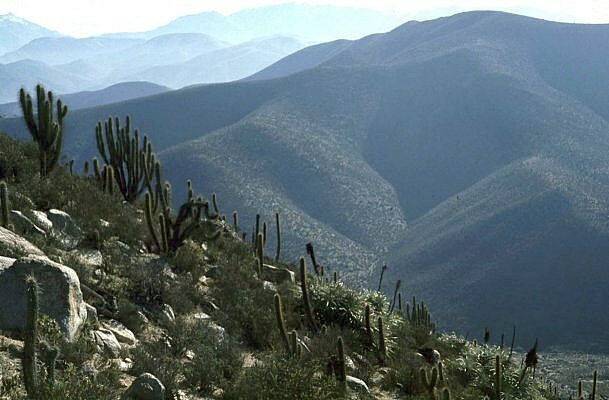 In 2006 they were listed as "Threatened", by 2008 as "Critically Endangered", and in 2016 they were reclassified as "Endangered" due to limited recovery in some areas. 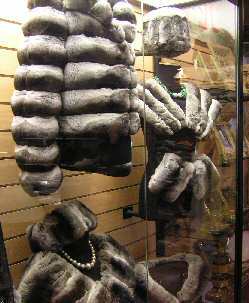 The international trade in chinchilla fur goes back to the 16th century. Their fur is popular in the fur trade due to its extremely soft feel, which is caused by the sprouting of 60 hairs (on average) from each hair follicle. The color is usually very even, which makes it ideal for small garments or the lining of large garments, though some large garments can be made entirely from the fur. A single, full-length coat made from chinchilla fur may require as many as 150 pelts, as chinchillas are relatively small. Their use for fur led to the extinction of one species, and put serious pressure on the other two. Though it is illegal to hunt wild chinchillas, the wild animals are now on the verge of becoming extinct because of continued illegal hunting. Domesticated chinchillas are still bred for fur. Chinchillas are popular pets, but require much care. They should only be purchased by experienced pet owners who are aware of their needs. Chinchillas must have extensive exercise and dental care, due to their teeth continually growing all throughout their life span, and since they lack the ability to sweat, temperatures need to be carefully controlled. They should be kept in an environment of 60 to 70 °F (16 to 21 °C). Always locate their cage in a well-lit area, but do not place the cage in direct sunlight or in drafts. The animals instinctively clean their fur by taking dust baths, in which they roll around in special dust made of fine pumice, a few times a week; they do not bathe in water. If they get wet they should be dried off immediately or else their fur will grow fungus and they can possibly get a skin infection. Their thick fur resists parasites, such as fleas, and reduces loose dander. There are two species of chinchilla, Chinchilla brevicaudata and chinchilla lanigera. The difference between the two species is small. Currently, Chinchilla brevicaudata seems to be facing extinction. 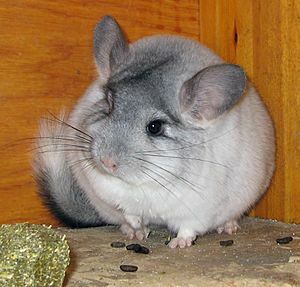 Chinchilla lanigera can still be found in the wild, but has become rare. Domesticated chinchillas seem to come from the lanigera species. Chinchilla Facts for Kids. Kiddle Encyclopedia.